What is Sone Rating? How does it Relate to Getting Quiet Fans? It often seems to us that summers are getting hotter and hotter every year. Whether or not you’re convinced that global warming is real, you can’t deny that hotter days are being experienced nowadays. Once it gets really hot, all you want is a nice cool breeze indoors, and if you’re like us, a quiet fan is much preferred. Quiet fans are not just good for light sleepers, they also help you stay comfortable by preventing a nerve-grating background noise. In this article, we will walk you through selecting the right quiet fan for your home. And suggest some good options as well. Not all fans and motors are the same. Let’s look at the types of motors used in many industrial and commercial fans. Open Drip Proof (ODP) motors have an open structure that enables air to move into the motor windings for ventilation. And the holes on the top side of the motor are shielded and guarded against anything that might drop into the motor. ODP motors are mainly utilized for belt drive fans in almost clean environments. Totally Enclosed Air Over/Airtight (TEAO) motors have an anti-dust structure. They are usually placed in the airstream. And the air flow created by the fan cools down the motor. TEAO motors are found in areas with a straight drive. Totally Enclosed Non-Ventilated (TENV) motors are not airtight. They rely on easy convection for the heat to disperse from the motor structure and are utilized in a clear air atmosphere in the airstream use. Totally Enclosed Fan Cooled (TEFC) motors are similar to the TENV. They have an external fan attached to the shaft which works at the same pace as the fan motor shaft to reduce the temperature of the structure of the motor. 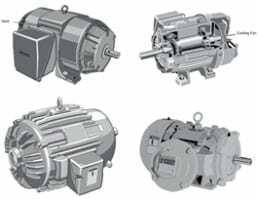 TEFC motors are quite adaptable and can be utilized out of the airstream, or in the airstream. With both direct or belt drive. Most fans come with sone ratings to help you judge the noise levels when they are operating. Understanding sone ratings will be helpful when you’re looking to buy a fan-equipped product with a low noise level. A sone is a linear measurement of loudness based on how an average listener senses sound. Unlike decibels, which are most commonly used to measure the intensity of audio, sones are measured by speed or maximum cubic feet per minute. For example, a bathroom fan with a sone rating of 0.3 is considered very quiet, while a fan with a sone rating of 0.6 would be twice as noisy as the first fan. If you’re looking for a relatively quiet bathroom fan, select models with a sone rating of 1.5 or under. So while there is no good or bad sone rating, a tolerable noise level boils to personal preference, and a quieter fan is usually better. This will obviously be the primary aspect to look for in a quiet fan. Knowing that sones are the best measure of noise for a fan, you should look for a fan that is quiet enough for your preferences. Remember that testing the sound in a store and then testing it in a quiet room can give very different results. So test each fan in many environments and then make a decision. The size of the fan is also important. While some manufacturers can make fans much quieter by increasing the blade size, that is not always practical. Take into account how much space the fan takes up in a room. Some fans just don’t have enough speed settings to suit everyone. While you may be perfectly happy with fast, medium and low, others may prefer a wider range of speeds. So if you’re looking for comfort, choose fans with more speed settings that offer a greater level of control. Some fans come with bells and whistles that make using them a pleasure. Common extra features include shut off timers and remote controls. Now you know what to look for in a quiet fan, and how to judge how silent or noisy one might be. It’s time to select the right fan for your home. Luckily, we’ve taken the guesswork out of the search by compiling a great list below. These fans will be sure to provide you with great value for money. This Rowenta VU2531 Turbo Silence 12-Inch Table Fan is a super efficacious, silent table fan offered by Rowenta, thanks in part to its propeller, which is produced with five silent blades. The controller tablet has 3 medium-to-high velocity settings and an extra Turbo Boost that pushes air up for an instant feeling of clean air. The moving fan head rotates up to 90° for all sides. The fan has a handle for effortless carrying, and the sound levels can go up to 55 decibels, roughly the same levels as in a museum. The fan has a stable base and a sleek bronze finish. The frontal grid is detachable for a manageable cleansing of the blades. The sleek bronze finish makes it look good. Get this fan if you need a very quiet and reliable desk fan for your home or office. While it doesn’t offer many extras, it will definitely get the job done and be convenient to use. 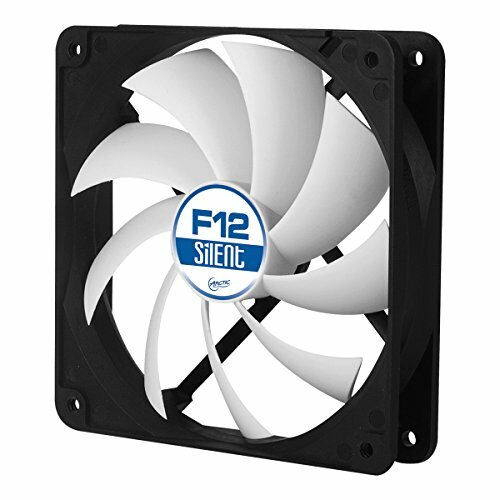 The Arctic F12 Silent utilizes a motor produced in Germany. It uses a new alloy/lubricant mixture that reduces abrasion and sound. It claims to be both silent and efficient. Due to the modern form of the blades, it increases the airflow and promotes very effective ventilation. This fan can be installed in two different ways, so you can either blow hot air outside of the computer case or draw cooling air within your case. The 3-pin connector for mainboard and power supply also runs with 4-pin headers. The fluid active bearing has an oil container that stops lubricant leakage. And this prolongs the life of the F12 Silent. Lubricated fluid dynamic bearing makes it long lasting and silent. Not for home use, it is designed for Personal Computer cases. This is an excellent fan if your personal computer is overheating and needs a better fan for cooling. 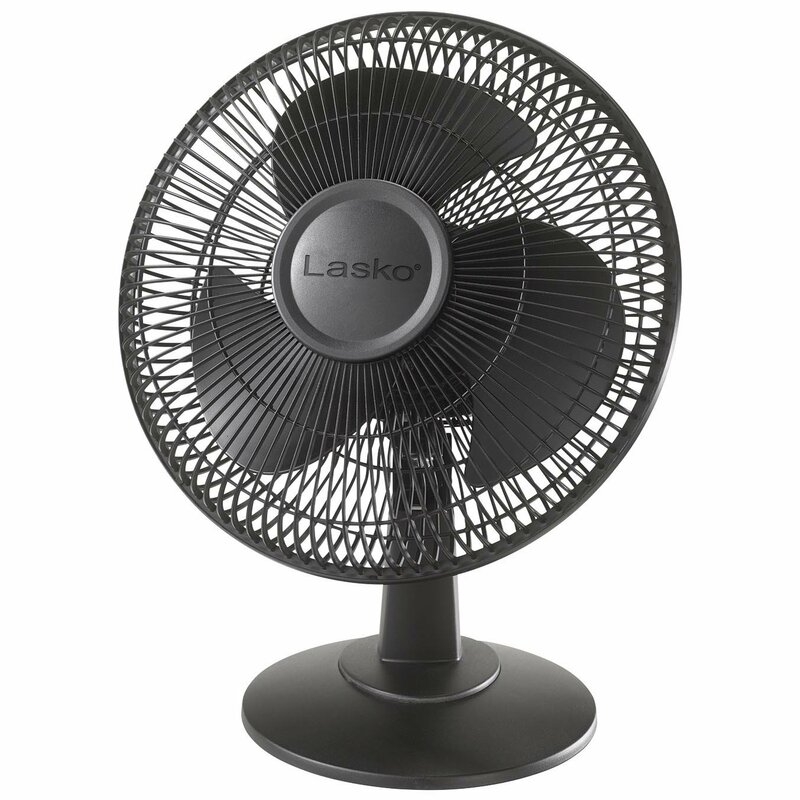 The Lasko 12 inch table fan has exactly the precise dimension to place on the desk or on the floor of the bedroom, living room, office or kitchenette. It features 3 quiet acceleration settings, oscillation, and 4 tilt back positions, allowing you to manage the course, and acceleration of air flow. It is lightweight and has a rear carry handle so you can move it smoothly. It is simple to put together, and you need no tools for it. Tilt back feature to direct the airflow. Rear carry handle for easy portability. Broad area oscillation to cover the whole room. This bare-bones fan may not be very fancy, but it packs a punch with its widespread oscillation and 3-speed settings. It is designed for portability and convenience. 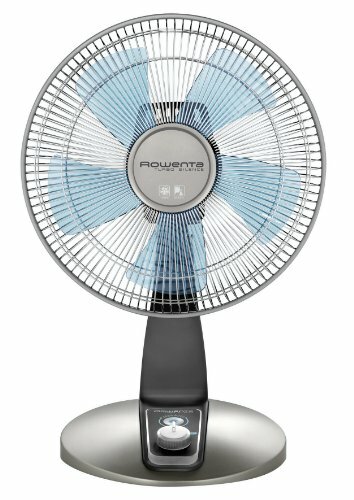 This Rowenta VU5670 Turbo Silence Extreme 16-inch fan is great for both office or home. It works silently and produces effective air circulation up. It has a 16-inch-diameter head and 5 powerful blades that are ideal for reducing the temperature in the summertime or overall airflow all year. It has five velocity options, with Turbo Boost and super Silent Night Mode. The fan's electronic power tablet has a timer and the possibility to save energy. It automatically reduces the air circulation till the fan becomes the most effective. Another great feature is the remote control. It makes it manageable to adjust the activity or configure the timer from anywhere in the room. The remote can be stowed in the slit in the fan´s handle, ensuring it is always there when needed. This fan is both quiet and efficient and has plenty of speed modes for your comfort. The timer is great for night time cooling needs, and it gets full marks for portability and convenience. 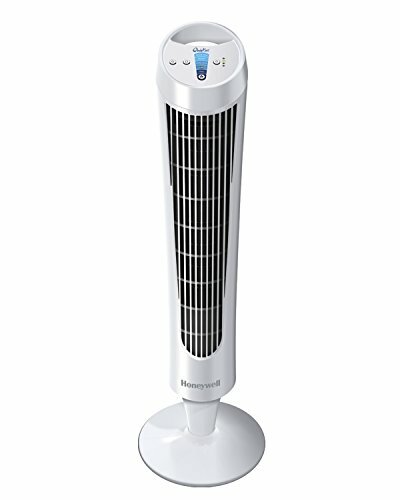 The Honeywell HY-280 QuietSet Whole Room Tower Fan is designed for large rooms and provides high levels of satisfaction and cooling. It comes with impressive 5-speed levels, an electronic panel, and remote control. The auto shut off spans from 1 to 8 hours. It has a carry handle and is excellent for any living room or kitchen, and features breeze and oscillation settings. A digital thermostat is also included. 8 Speeds / Levels of quiet control. Touch button electronic controls & Remote Control. The control panel is quite bright so may affect your sleep. This fan is absolutely packed with extras, and it really does a great job in cooling and ventilating large rooms. Go for this fan if you have a large room and need lots of features in your fan. With today's improved technology, loud fans may soon become a thing of the past, as no one wants a noisy fan anymore. With a myriad of fans out there having so many features to suit every need, it can be hard to get to a decision without proper research. We have done the research for you in the hopes of meeting your cooling needs more clearly. Check out our reviews of top products, they will help you choose and buy the quiet fan that best suits your needs.